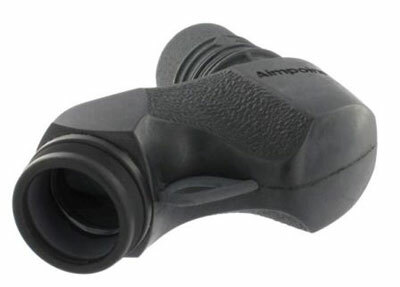 Aimpoint Accessories help get the most out of Aimpoint devices. They add to their performance and go a long way in protecting and maintaining them in the best possible way. The list of accessories is inclusive of Aimpoint Mount Micro H-1 Kit, Aimpoint Ruger 10/22 mount for Micro, Aimpoint Mount QRP3 Complete, Aimpoint SRP-L 30mm Scope Rings, Aimpoint SRW-L 30mm Scope Rings, Aimpoint Transparent Flip Up Lens Cover Front, Aimpoint Front Flip-up Lens Cover, Aimpoint Rear Flip-up Lens Cover, Aimpoint Micro Screw Cap, Aimpoint Micro tool, Aimpoint CompM4 Bikini Lens Cover, and Aimpoint 30mm ring set for AP9000 series sights. It also comprises Aimpoint Ring Set for Hunter H34 - High, Aimpoint QRP Mount, Aimpoint QRP Spacer, Aimpoint H&K Universal Rail Adaptor, Aimpoint LRP modular base, Aimpoint QRP2 Quick Release modular base, Aimpoint LaRue Tactical LT-660 mount, Aimpoint 12197 TNP Torsion Nut modular base, Aimpoint Micro LRP QD Mount Base, Aimpoint Micro Spacer 39mm, Aimpoint Micro Spacer Low (30mm), Aimpoint Glock pistol mount for Micro sights, Aimpoint Concealed Engagement Unit, Aimpoint KillFlash ARD and many more.